I, ______________________, ACKNOWLEDGE, agree, and represent that I understand the nature of the Activity and that I am qualified, in good health, and in proper physical and emotional condition to participate in such Activity. I further agree and warrant that if, at any time, I believe the conditions to be unsafe, or if I am unfit for any component of Activity participation, I will immediately discontinue participating in the Activity. I FULLY UNDERSTAND that: (a) THE ACTIVITY INVOLVES RISKS AND DANGERS OF SERIOUS BODILY INJURY, (including: physical, psychological, emotional or other injuries), pain, suffering, illness, permanent disability, paralysis, and death (“Risks”); (b) these Risks and dangers may be caused by my own actions, inactions, negligence, conditions related to travel, or the condition of the Premises, the actions or inactions of others participating in the Activity, the conditions in which the Activity takes place, or the negligence of the Releasees named below; and (c) there may be other risks or social and economic losses either not known to me or not readily foreseeable at this time; and I FULLY ACCEPT AND ASSUME ALL SUCH RISKS, KNOWN AND UNKNOWN, AND ALL RESPONSIBILITY FOR LOSSES, COSTS, AND DAMAGES I incur as a result of my participation, or that of the Minor named below, in the Activity, including travel to, from and during Activity. I AND EACH OF MY HEIRS, PERSONAL REPRESENTATIVES, GUARDIANS, CONSERVATORS, AGENTS, SUCCESSORS AND ASSIGNS, AGREE TO HOLD HARMLESS AND CONVENANT NOT TO SUE, AND HEREBY RELEASE AND DISCHARGE, Project Escape, LLC, its owners, administrators, directors, managers, agents, officers, members, volunteers, employees, participants, officials, insurers, affiliates, successors and assigns, in their official and individual capacities, and owners and lessors of the Premises on which the Activity is conducted (each of the forgoing shall be considered one of the “Releasees” herein) FROM ALL LIABILITY, CLAIMS, DEMANDS, LOSSES OR DAMAGES ON MY ACCOUNT CAUSED OR ALLEGED TO BE CAUSED IN WHOLE OR IN PART BY THE ACTIVITY, INCLUDING THE NEGLIGENCE OF THE RELEASEES OR OTHERWISE (BUT EXCLUDING THE GROSS NEGLIGENCE OR WILLFUL MISCONDUCT OF ANY RELEASEE), AND I FURTHER AGREE that if, despite this RELEASE AND WAIVER OF LIABILITY, ASSUMPTION OF RISK, AND INDEMNITY AGREEMENT, I, or anyone on my behalf makes a claim against any of the Releasees, I WILL INDEMNIFY, SAVE, AND HOLD HARMLESS EACH OF THE RELEASEES from any litigation expenses, attorney fees, loss, liability, damage, or cost which may be incurred as the result of such claim. Such release, discharge, and covenant not to sue to the Releasees includes, without limitation, any possible legal claim for an act, or failure to act, amounting to negligence on the part of any of the Releasees. I ALSO FULLY UNDERSTAND AND ACKNOWLEDGE THAT PROJECT ESCAPE, LLC LIABILITY FOR NEGLIGENCE FOR PERSONAL INJURY, PROPERTY DAMAGE, AND LOSS IS LIMITED TO THE PRICE PAID FOR ADMISSION. I am aware that the Activity involves: simulated confinement in a room(s), mentally intense situations and may be physically intense and induce stress. Physical activity may include, but is not limited to, standing, bending, reaching, lifting, limited vision, variations of lighting, feelings of pressure, enclosed space, constraints, exposure to laser lights, etc. This list is not intended to be an exhaustive list of all exposures that may occur in an Activity. 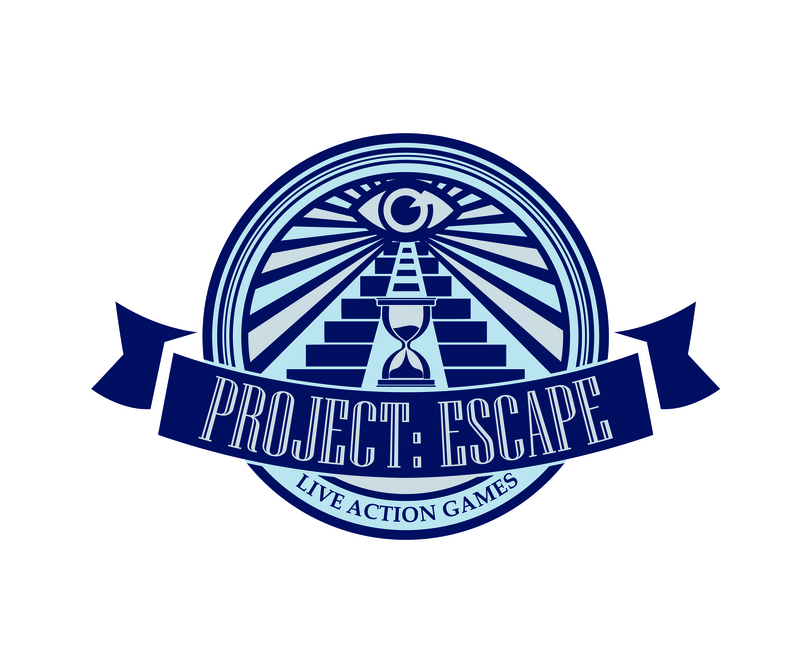 I acknowledge that I have been informed by Project Escape, LLC that if I have any health limitation then I may choose not to participate in the Activity and a full refund will be provided. I ACKNOWLEDGE THAT I AM AGE 18 OR OLDER, HAVE READ THIS AGREEMENT AND FULLY UNDERSTAND ITS TERMS, UNDERSTAND THAT I HAVE GIVEN UP SUBSTANTIAL RIGHTS BY SIGNING IT, HAVE SIGNED IT FREELY AND WITHOUT ANY INDUCEMENT OR ASSURANCE OF ANY NATURE AND I INTEND IT TO BE A COMPLETE AND UNCONDITIONAL RELEASE OF ALL LIABILITY TO THE GREATEST EXTENT ALLOWED BY LAW. I ADDITIONALLY PERMIT PROJECT ESCAPE, LLC TO PHOTOGRAPH OR VIDEOTAPE MY PARTICIPATION IN THE ACTIVITY, INCLUDING SOUND AND VIDEO RECORDINGS (collectively, “Recordings”). I GIVE PROJECT ESCAPE, LLC ALL RIGHTS TO MARKET, PUBLISH, REPRODUCE (IN ANY AND ALL MEDIA), AND OTHERWISE USE THE RECORDINGS WITHOUT MY PERMISSION.